A workshop exploring movement as a conduit for creativity. Lead by Self Practice founder Lauren Trend and Good Vibes teacher Jennalea McInnes. Creativity is not reserved for artists alone. Creativity comes in all forms. In the way that we communicate, in the way that we process emotions, in our approach to ideas and inspiration. In this workshop we will explore the relationship between physical movement and creative thinking. 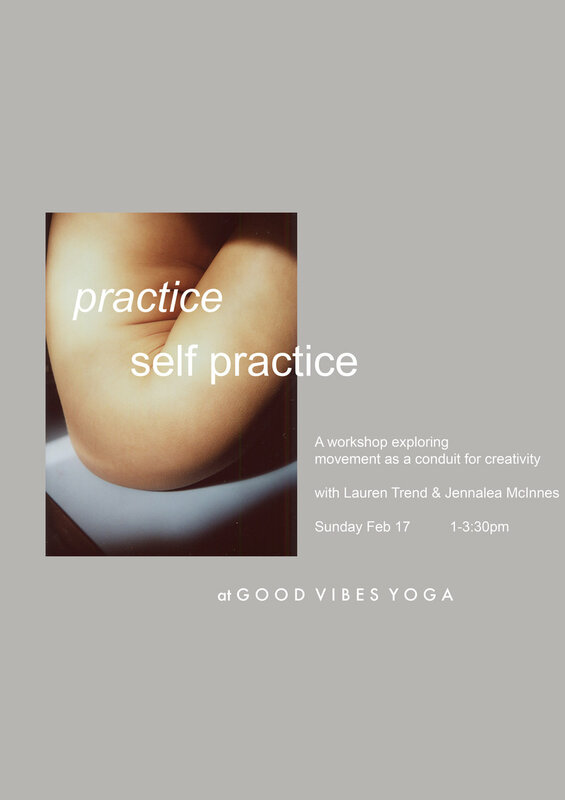 Those in attendance will be invited to work through a series of creative, mindfulness and movement exercises including a 60 minute flow - in order to work through blocks, welcome inspiration and channel ideas with ease and intention.